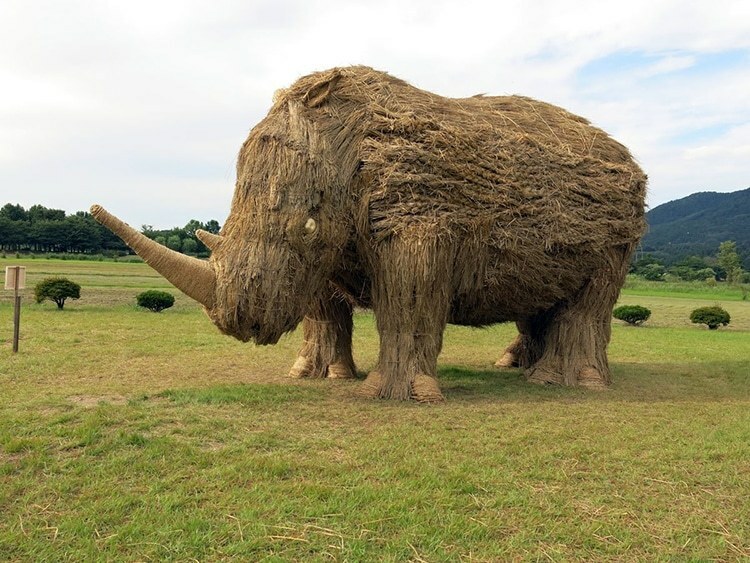 For the past ten years, local artists in the Niigata prefecture in Northern Japan build incredible animal sculptures out of rice straw for the annual Wara Art Festival. 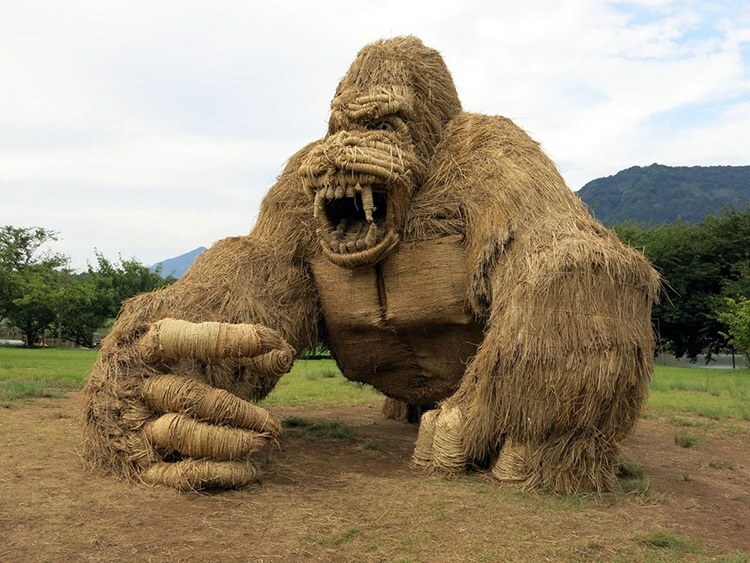 “Wara” is the Japanese term for rice straw. 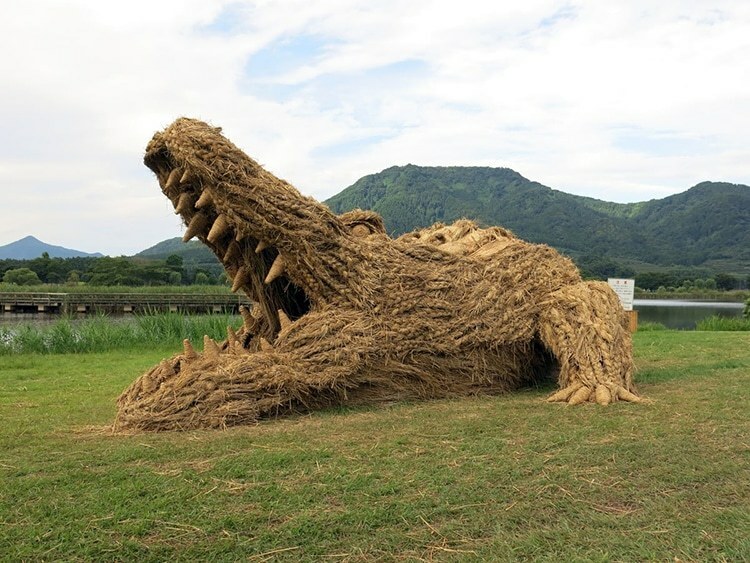 It’s what remains after the rice harvest. 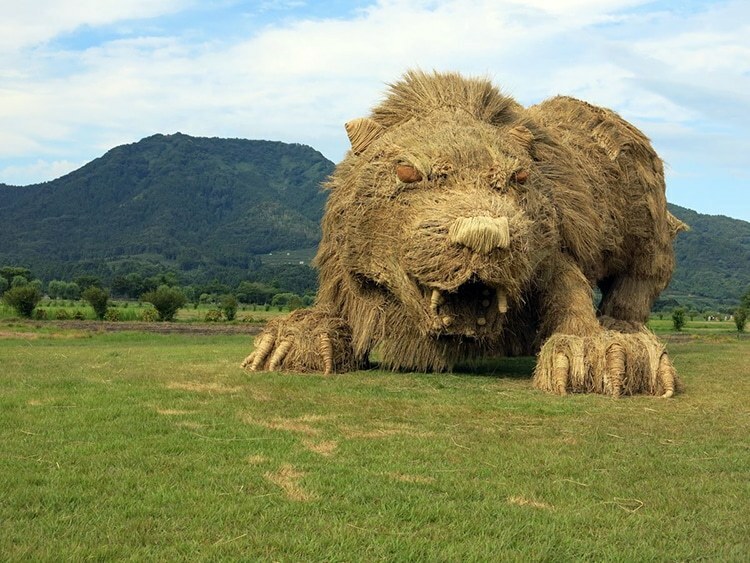 Some regions use it to feed livestock or improve the soil. 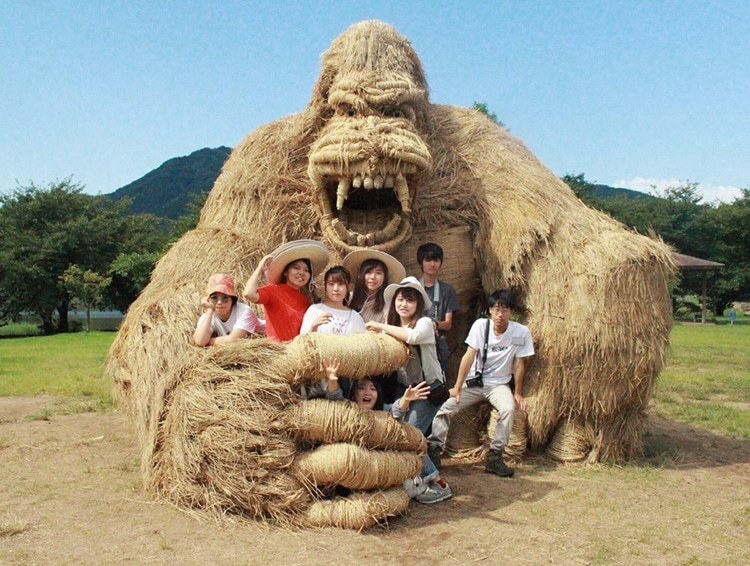 But students from Musashino Art University it to make these enormous sculptures. The sculptures are currently on display through October 31, 2017 at Uwasekigata Park. 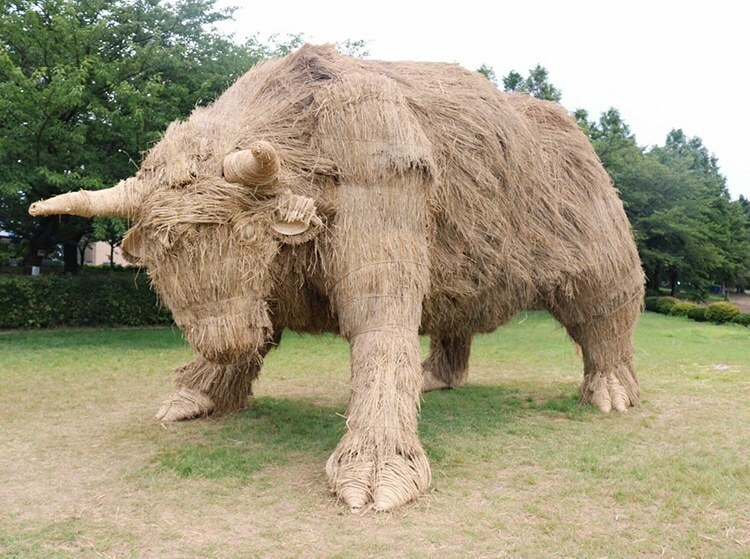 The Wara Art Festival all started in 2006 when the local district reached out to Musashino Art University to seek guidance on transforming their abundant amount of rice straw into art. 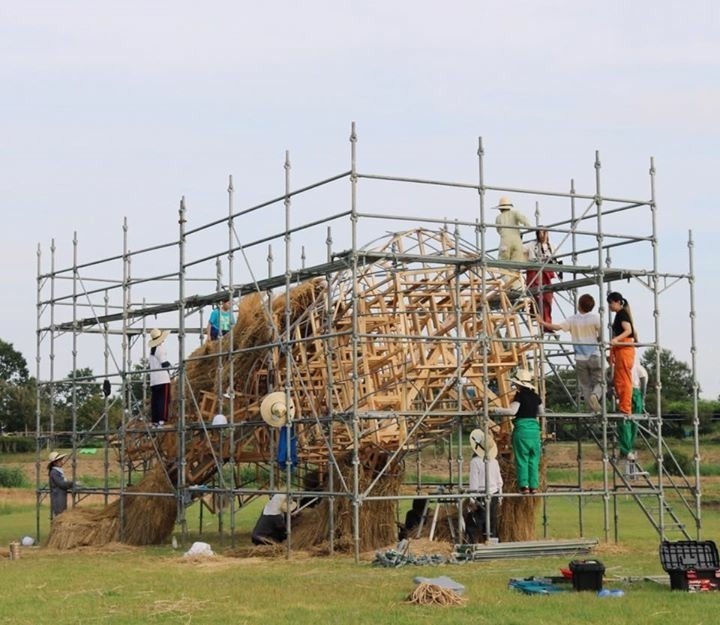 And in 2008, the very first Wara Art Festival was held. 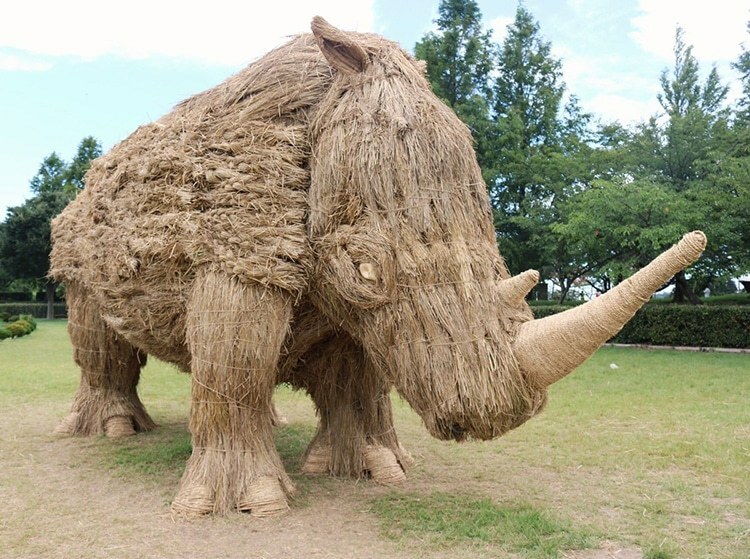 Since then, every year the school sends art students up to Niigata to assist in creating sculptures made out of rice straw. The festivities have ended but the sculptures are on display through October 31, 2017. 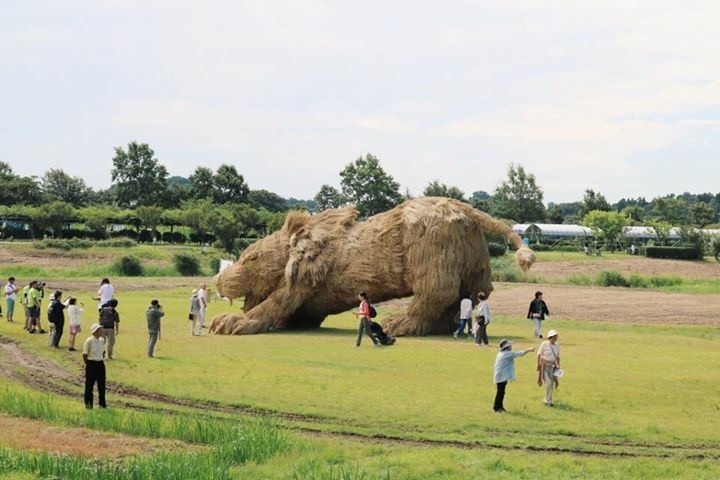 To mark the 10th anniversary of the Wara Art Festival participants made this year’s sculptures twice as large as usual. 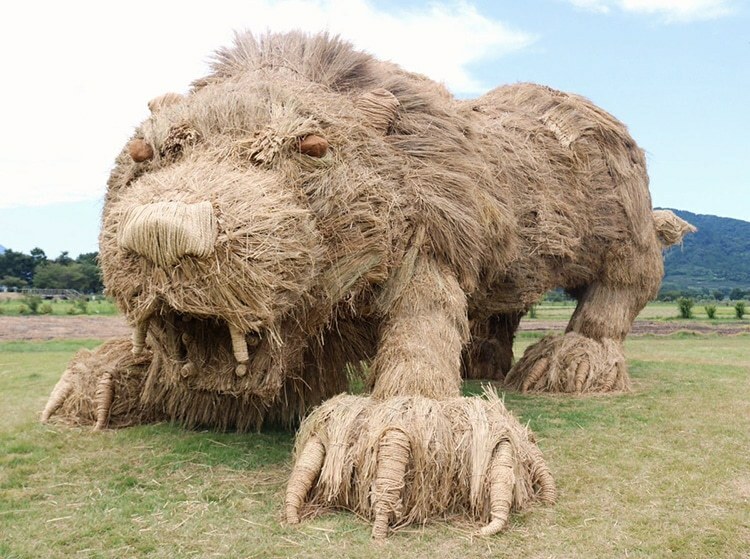 Visit the Wara Art Festival Facebook page for more photos of these magnificent sculptures.